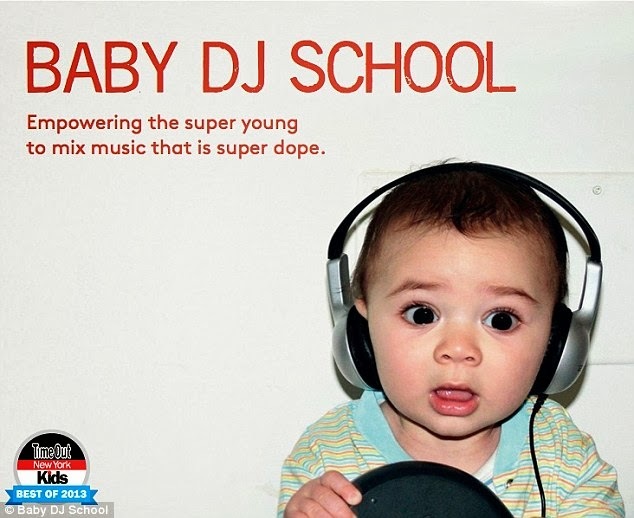 I am always on the lookout for new parenting trends, so you can imagine my excitement upon learning of a popular new class in Brooklyn, New York that teaches children as young as three months old to “DJ.” At $200 for the eight week program, some might see Baby DJ school as an expensive fad but creator Natalie Elizabeth Weiss insists that utilizing the mixing equipment and turntables is no more complicated than playing with a train-set. Advocates insist that the activities increases cognitive development and enhance fine motor skills. Despite being launched only a few months ago, Weiss has already had to expand to three different locations just to keep up with demand. The idea came to her while showing a friend’s child how her DJ equipment works and he showed interest. Now she exposes dozens of students to hip-hop, house, and electronic music. In some cases, the parents have proven to be more enthusiastic than the students themselves asking if their can bring their adult friends along to observe the class. Perhaps children advance faster in the 5 Burroughs than in the rest of the world, but it is difficult for me to envision a three-month old manipulating an electronic mixer with any sense of purpose. Let’s face it, when you are only a few lunar cycles removed from the womb; your parents are paying $200 to watch you gnaw on headphone cords while listening to Swedish House Mafia. Once they get a couple of birthdays under their belt, a meaningful interaction with a Pioneer 2000Nexus becomes far more likely and perhaps the Baby DJ class is worth looking into. If nothing else it presents an opportunity to talk to your kids about ecstasy. Toddler Strip Mining – Children as young as 2 months will sit in their parent’s lap as they manipulate the controls of a functioning dragline excavator in search of fossil fuels. Learned skills include eye-hand coordination and EPA avoidance. Each participant will be provided with a Surface Mining Control and Reclamation Act of 1977 coloring and activity book. Infant CSI – Engage all five of your child’s senses by having them crawl through the carnage of a real-life crime scene. Learned skills include decomposition math and projectile geometry. Don’t forget about the Luminol black light party! Each participant will get a copy of shell-casing bingo and our always popular blood-splatter flash cards.